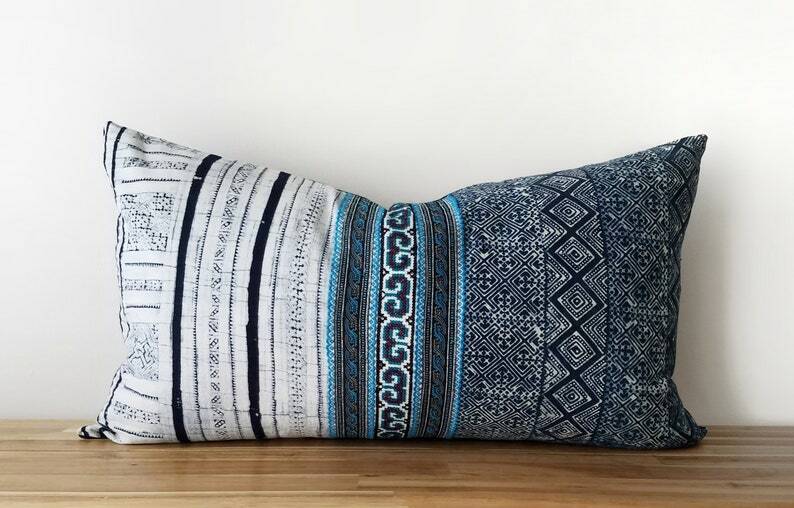 This vintage textile was handwoven and batiked with natural indigo and embellished with embroidery by women of the Hmong Hill Tribe. This vintage piece has variations in weave and dye, as well as the lovely patina of age and wear. 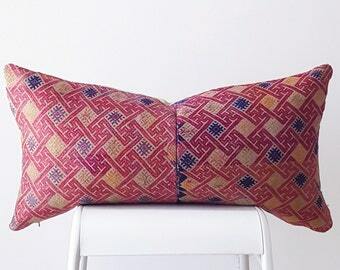 The imperfections in weave, dye, and design are the very essence of the beauty in handmade textiles. 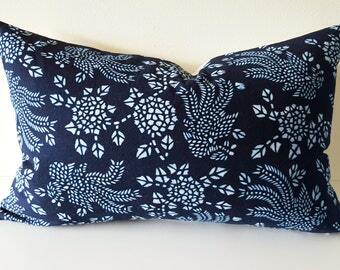 I'm happy to create and bring to your home, these breathtaking one-of-a-kind pillows! 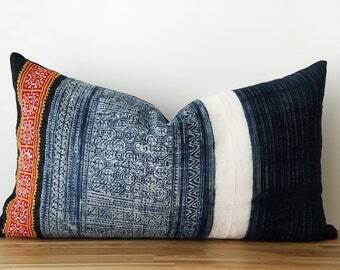 The front of the cover is the pre-washed vintage Hmong batik textile, and it reverses to an indigo 100% linen. The cover is double-stitched for durability, seams overlocked, stress points reinforced, and finished with an invisible zipper closure.